Q. How can I find foreign language materials in the library? There are several strategies for finding books, DVDs, articles, or other materials on a topic in a foreign language. When you conduct your search, look to see if you can limit by language either before or after you search. 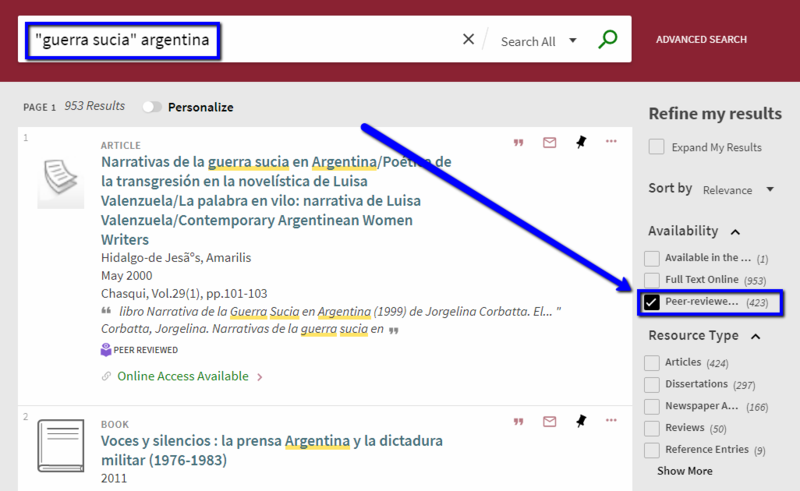 For example, databases searched in the EBSCO interface (Academic Search Complete, Business Search Complete, PsycInfo and more) must have the limit by language set prior to searching. Most other databases will allow you to search first, and then limit by language. Conduct your search in both English and in the language in which you want the materials. Following are some examples using various databases. 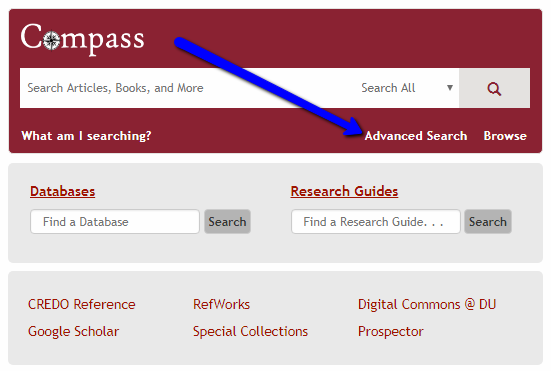 Alternatively, you may also begin your search for foreign language items in the Compass Advanced Search menu. 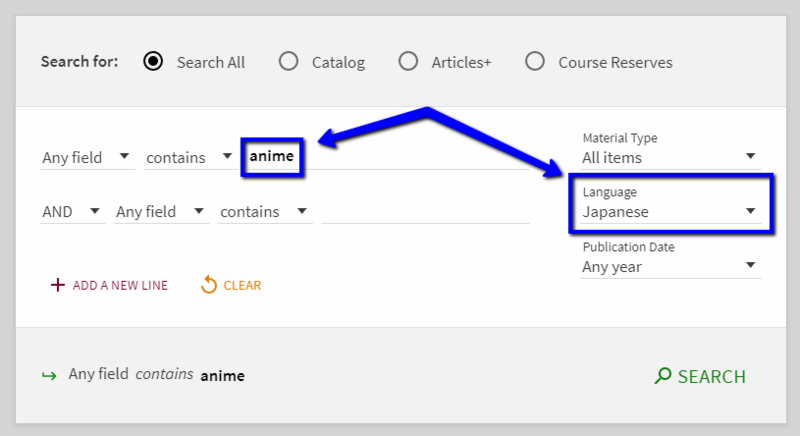 For example, if you are looking for academic sources on anime in Japanese, type in your search and select the appropriate language from the drop down menu. 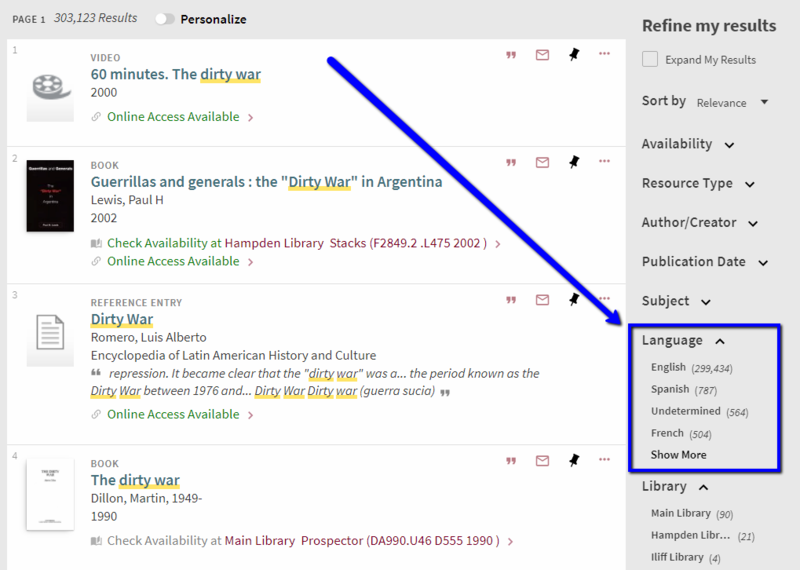 For the time being, the languages available in this Advanced Search drop-down menu do not represent the breadth of languages available in the library's collection, so if you do not see the language you want to search for in Advanced Search, stick to the first search strategy on this page. For more tips about searching for materials in foreign languages, contact the Research Center at research@du.libanswers.com.